Detail : Ringo's third solo single. 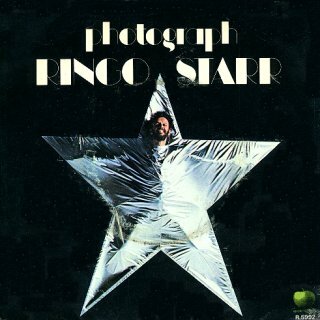 Once again, a big hit for Ringo, this track was recorded in early 1973 during the sessions for the album "Ringo", on which it appeared. This time George shares writing credits with Ringo, but Richard Perry did the producing. The backing group included George, Nicky Hopkins, Klaus Voorman, Bobby Keyes, Jim Keltner, Vini Poncia, Jimmy Calvert and Lon and Derek Van Eaton. The B-side, "Down And Out" was written by Ringo and does not appear on any other of his releases. A promo film was actually shot, with Ringo wandering around his new house ... Tittenhurst Park. This was only ever shown on T.V. once, on Top Of The Pops. The single was released in a picture cover, with the label having the same design. On this release the publishing company is listed as "Richoroony Ltd.", although the B-side is "Rampa Music Ltd."